Hello Loverlies! 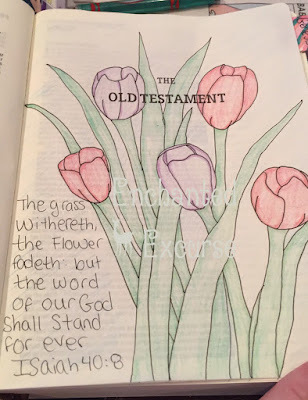 I am posting today's photo challenge, which is, A note in your Bible. 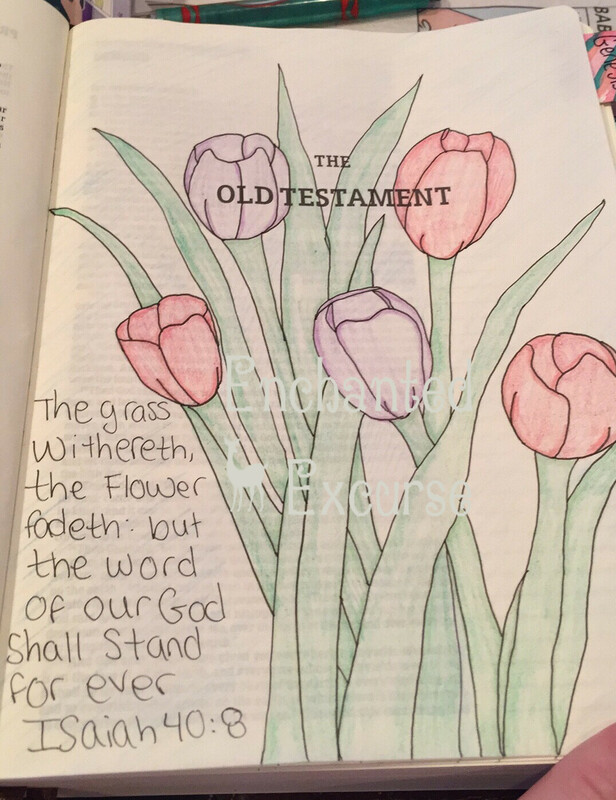 I am going to use something I drew and wrote in my Journaling Bible a few months ago. I really need to get to drawing in it again. I will soon, but I have other things to get painted. Have a Blessed Day! I have never heard of a journaling bible before. That's a cool idea. It does seem a lot of folks are doing it nowadays. You can find fb groups that will help you get started. Also youtube etc. You can find Journaling Bibles on Family Christian, Christianbooks.com, even Hastings. I bet you Barnes and Noble even carry them. The first two I mentioned normally have deals on them.